In your Dutch oven, heat your Olive Oil over a medium heat. Once your oil is hot, toss in your Vegan Chicken. Once your Vegan Chicken is lightly browned, toss in your onions and celery and toss while you cook until your vegetables are tender. Use a slotted spoon to remove your Vegan Chicken from your pot and set aside in a bowl. Don't dab off any extra oil. Toss the remaining ingredients in your pot and mix thoroughly. Cover your pot and reduce heat to a simmer. You want to cook your Bulgur until it's tender like rice. Read the package your Bulgur came in to see how long they recommend cooking their product for. It took us about 20 minutes but some products take more or less time. 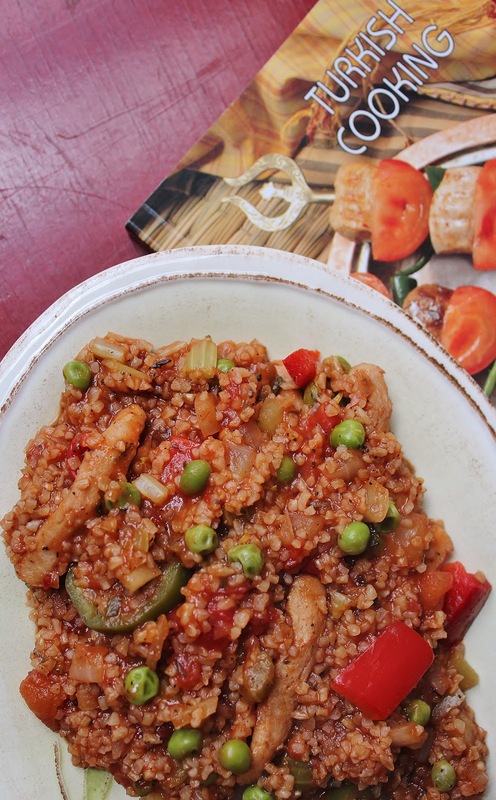 While your Bulgur cooks, use a spoon to mix your ingredients every once in awhile to make sure it cooks evenly and nothing sticks to the side. 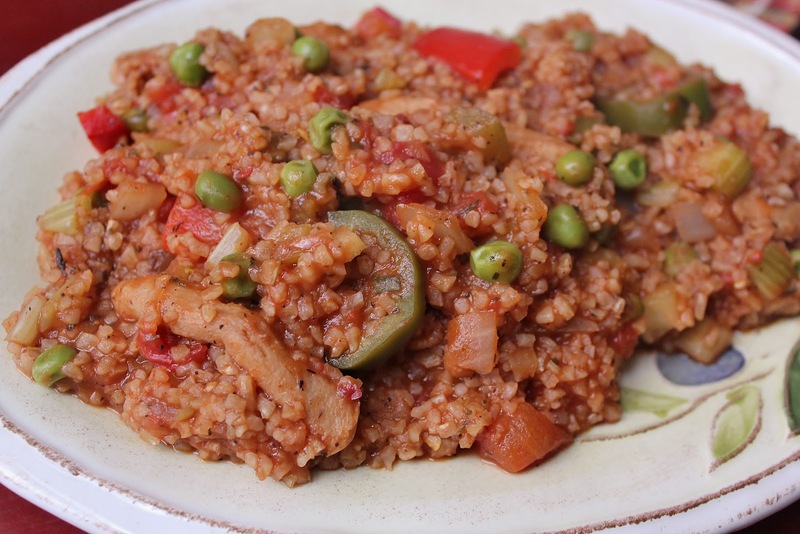 Once your Bulgur is tender, remove your pot from heat and mix in your Vegan Chicken. Your pilaf is going to be saucier than you might expect. Serve hot or chilled with some fresh Parsley over the top. mmmm looks so hearty and delicious! yum!